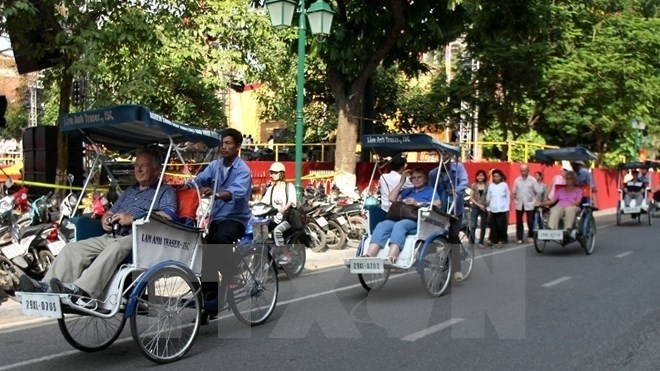 The capital city of Hanoi welcomed 321,000 foreign visitors in September, representing an increase of 5.9 percent compared to the previous month and 89.2 percent annually. The September figure brought the total number of foreign holidaymakers, in the first nine months of 2017, to almost 2.65 million, up 27.6 percent in comparison to the same period last year. Meanwhile, the number of domestic tourists visiting Hanoi was 829,000, rising 0.9 percent annually. In the January-September period, Hanoi served approximately 7.37 million domestic visitors, up 4.2 percent compared to the corresponding period of 2016. Earnings from accommodation, food and travel services in September reached VND 5.28 trillion (US$232.32 million), increasing 12.1 percent annually. Since the start of the year, the total revenue hit VND 45.32 trillion (US$ 1.99 billion), up 9.6 percent compared to last year. Over the years, Hanoi has been chosen among the most attractive destinations in Asia and the world by prestigious travel magazines and websites, including TripAdvisor.